One circular coin. Square central hole. 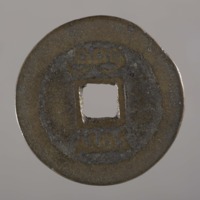 Obverse presents four worn Chinese characters 道光通寶 (daoguang tongbao). 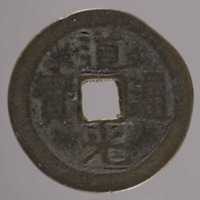 Reverse presents two worn Manchu characters boo yun (Yunnan province mint). 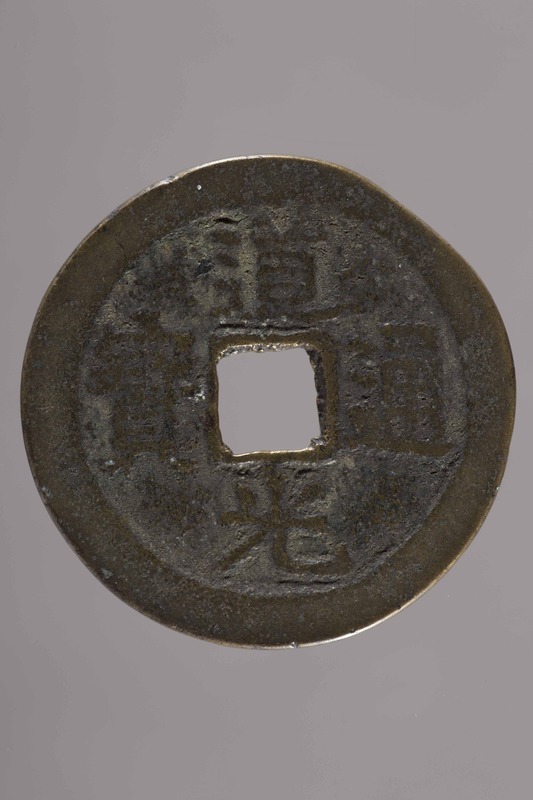 From the Daoguang era (1821-1850 AD) of the reign of emperor Xuanzong (1820-1850 AD). 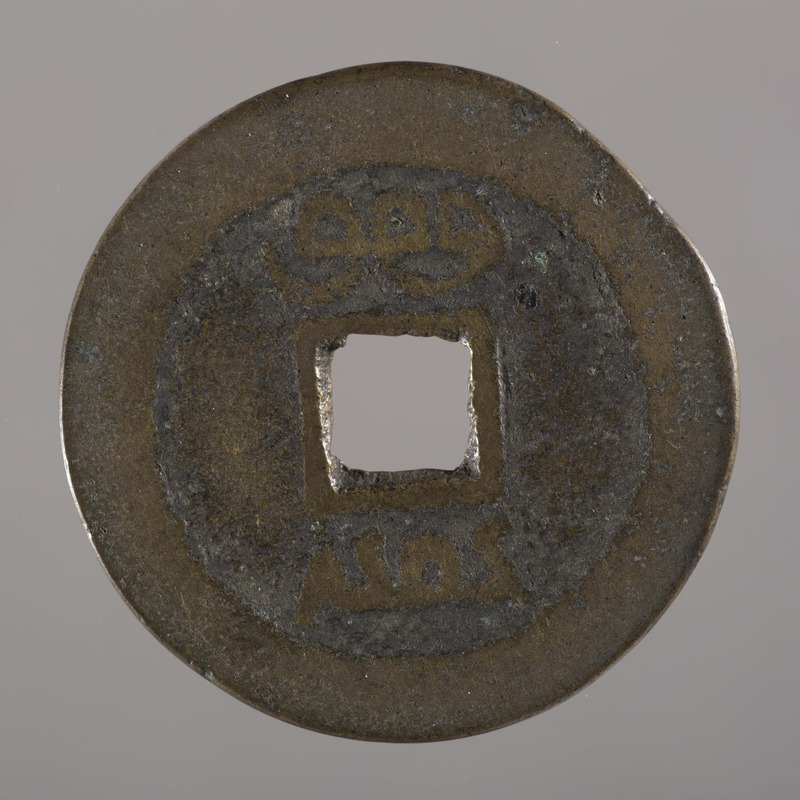 “Money: coin,” China, Art and Cultural Diplomacy, accessed April 22, 2019, http://rewialleyart.nz/items/show/1183.